The upcoming September 2019 Eldership workshop in Farfa, Italy will focus on Eldership as a new attitude towards life and ageing. And will feature Clay Work and Arnold Mindell’s Processwork. Process work is a theoretical and practical frame for embracing hopes, fears and dreams as they revolve around ageing and living life itself. At this residential retreat, we will explore the role of elders and eldership in our our lives, communities and society. Using a Process Work and deep democracy approach we will learn methods to look at our engagement options within an ever changing world. We will engage with creativity, dynamic group interactions, short theoretical presentations, and inner work to discover renewed growth on our personal learning path. The retreat’s learning style is participative. In an open-minded space participants guide the path of our process with questions, experiences, and in bringing deepest inspirations into the group and into the world. 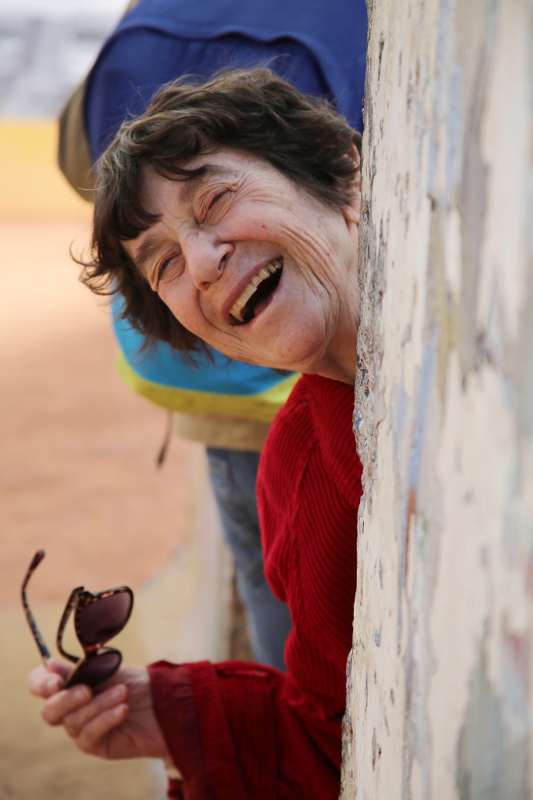 We are so pleased to welcome Lynn Ruth Miller, stand-up comedienne defying ageism, to this year’s Eldership Workshop! Eldership Academy strives to train people of any age in the qualities that make an Elder. These qualities are grounded in timeless human virtues. Such virtues are comprised of attributes like non-judgement, patience, focused attention, presence, deep listening, use of non-polarizing language , with an openness and curiosity to the known and unknown. Eldership is a role all of us can inhabit regardless of age. It is an attitude we can learn through study and repeated practice. Eldership Academy would like to contribute to the formation and training of an attitude we often attribute to Wise Elders. Wise Elders are more important than ever as guides for our communities who search for solutions to many challenges our planet and people face today. In a world where we have lost many guiding principals we are more than ever forced to look deeply inside to articulate a value system that is deep and timeless and lies within each of us. We strive to teach people to look at life backwards so we can hear what our inner elder is telling us about our values today. Aging affords us the opportunity to grow into the role of an elder, not just become to an older person.